It’s still a wild and strange world out there for early stage Bitcoin companies. So while it can be challenging to get started, things are improving thanks to several Silicon Valley-based accelerators taking a liking to digital currency. Now that there’s a decent collection of them I thought it might be helpful to review them. So this field guide takes us through five accelerators with a focus on Bitcoin and it briefly reviews their strengths, weaknesses and program details. To get the disclosures (and plugs!) 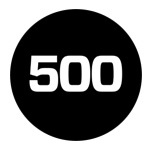 out of the way I should mention I help run the 500 Startups accelerator in Mountain View, California. But while I’m a bit biased on this I’ll still try to keep things fair and objective. I would also encourage founders out there to apply to *every* accelerator you like vs. targeting just one. It’s important to know you have options. Plus, we all enjoy fighting over the best ones and letting the founders make the call on what accelerator is the best match for their business. This field guide is focused on accelerators in the Silicon Valley area. That’s not to say all Bitcoin companies need to be built here; however, most probably should. You’re not likely to find a better concentration of talent –and of course capital– for startups than here. That goes for international companies too, as being in Silicon Valley, even briefly, is going to significantly improve your chances for success and/or survival. Let’s start with the original accelerator to put a strong focus on Bitcoin. Founded by Adam Draper, the BoostVC program has likely accelerated the most Bitcoin companies so far and pledges to accelerate 100 companies by 2017. Strengths: The Draper family is one of the (if not the) most experienced families in venture capital. This extensive history brings an enormous amount of credibility to BoostVC and opens up unique downstream capital opportunities. With an impressive commitment to helping founders through Draper University, Hero City and now BoostVC, the Drapers have established premium facilities in San Mateo, California that even include founder housing. Weakness: Although there’s an impressive mentor list at BoostVC, not many mentors are Bitcoin-specific. So far, this has been the only negative feedback I’ve heard about the program. To be fair, every program is struggling to find great Bitcoin mentors since there are not many of them out there. Although the 500 Startups accelerator program is not exclusively Bitcoin, we hope to have a few Bitcoin companies in each batch. The current batch has five Bitcoin companies including Bonafide, GoGoCoin, Neuroware, Monetsu and Coinanlyics. 500 Startups is the most active angel and seed investor in Silicon Valley with a commitment to Bitcoin, driven by yours truly. Strengths: Having accelerated hundreds of startups already, the 500 team has a wealth of experience helping early-stage founders. That team also includes former early Paypal and Mint team members so they know a few things about building a financial tech company. Finally, with a focus on marketing and fundraising, the program gives companies a fighting chance to keeping going after the program. Weakness: Like most investors in Bitcoin companies, we’re newbies. So still figuring out a lot of it, including how to properly accelerate a Bitcoin company and set them up for success. 500 has strong mentor network but much like Boost needs more Bitcoin specific mentors. Having made a fair amount of their money from PayPal, adding Bitcoin to the already extensive reach of Plug and Play was a logical move. 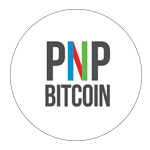 As early supporters of the local Bitcoin community through weekly meetups and job fairs, PnP is both a welcomed and familiar brand to industry. Program Director Scott Robinson is also well respected in the Bitcoin community for his ongoing support. 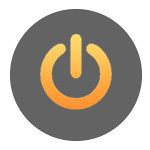 Strengths: Plug and Play already has a massive network and facilities everywhere. As an early supporter of Bitcoin, their mentor network is by far the strongest with Bitcoin experience. That roster includes everyone from security expert Andreas M. Antonopoulos to famed VC and Bitfury investor Bill Tai. Weakness: As most Bitcoin accelerators experience, there are big challenges securing graduating companies with additional fundraising. I would estimate it’s going to be 1 to 2 years before the Bitcoin investor pool grows significantly. Labeling itself as the “Digital Currency Accelerator,” Crosscoin is meant for founders building for the Ripple protocol. They just launched in March, so there isn’t a lot of news from this one yet and admittedly it’s the accelerator I know the least about. 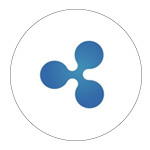 Strengths: Ripple is a well funded initiative that has hit a few bumps in the road. However they continue to try to court developers and form relationships with banks. So if nothing else, you have a dedicated team/community really trying to make this work. My guess would be companies in this accelerator are going to get extensive developer or biz dev support to ensure they’re successful. Weakness: It’s entirely possible another crypto-currency can replace Bitcoin as the dominant protocol some day. However, today it’s looking more like the winner. So if your startup is only addressing Ripple-based opportunities you might be limiting your potential reach. On top of that many investors are not aware of Ripple, so downstream capital may be more challenging to secure. Although Y Combinator is not known specially as a Bitcoin accelerator, they’re showing more and more interest in digital currency. Previously they were early supporters of Bitcoin in accepting Coinbase into their program. Today the current batch has several Bitcoin companies among its ranks focused on ATMs, ID verification and more. Strengths: Because they are one of the most well known, experienced incubators in the world, you’re getting a very mature program. The brand name strength is incredibly helpful for fundraising and you’re also getting the most in terms of total funding provided. Weakness: The program is somewhat hands-off, which may not be a match for the needs of early-stage Bitcoin companies today. 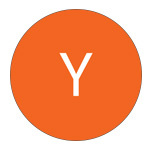 Overall YC focuses on product development and market fit and there’s less attention to the areas of marketing and distribution. Good luck out there in the field. Working on a Bitcoin startup? Want to hear a few accelerator directors debate onstage?